Sara got a chance to take the class as well since I was the only person who signed up for the class. 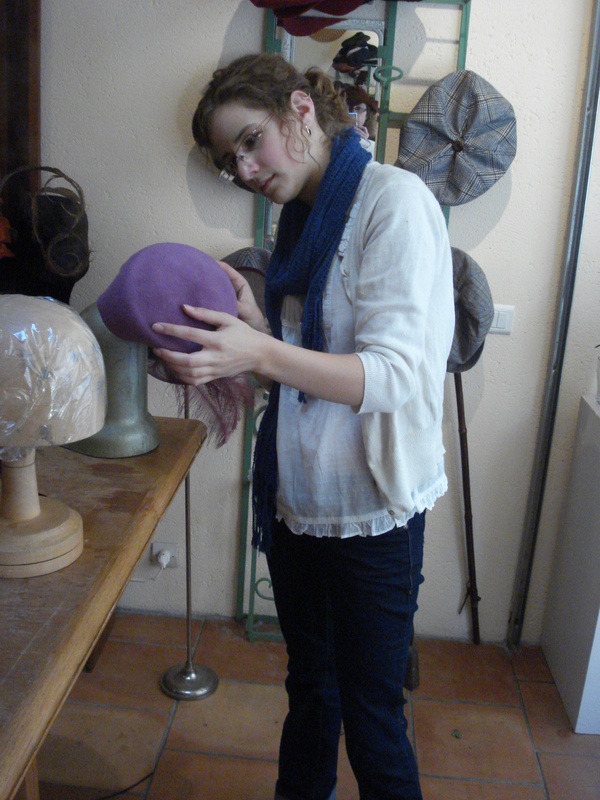 Here she is learning how to free-form or hat-in-hand technique. Her rather odd pink hood turned into a lovely little hat that still needs finishing but it’s very cute. Sara looking unimpressed while I take a photo. Sara is steaming a different hat here. 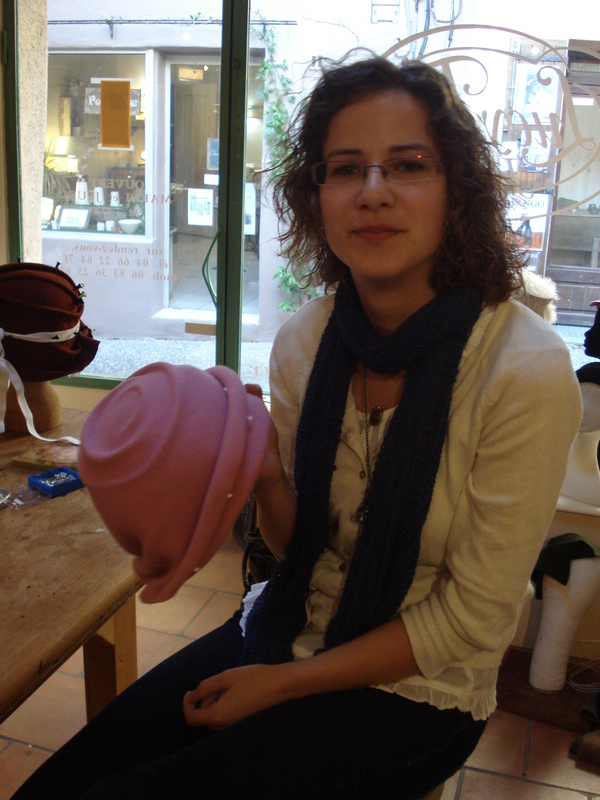 She got a chance to make another little hat that isn’t quite finished either but here’s as much as she finished there. 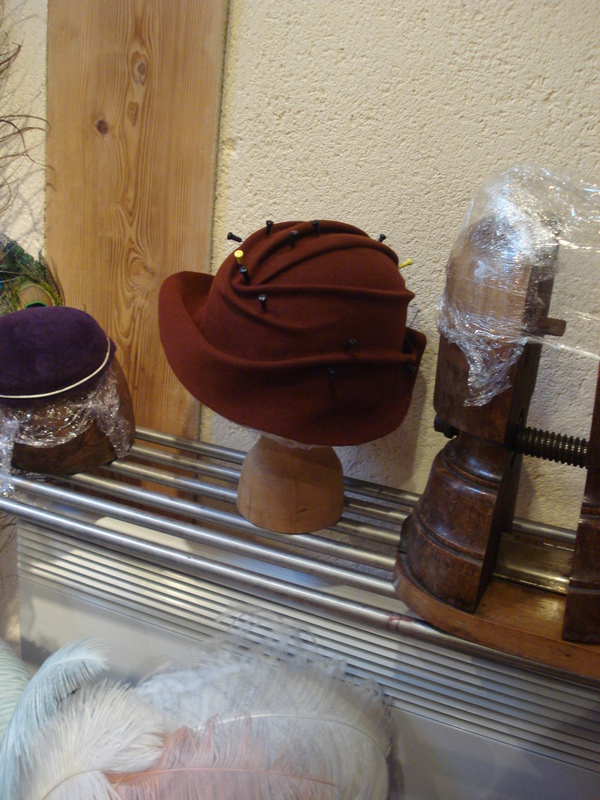 We have the skills to finish the hats when they arrive from France which, since my mom called yesterday, they did arrive! 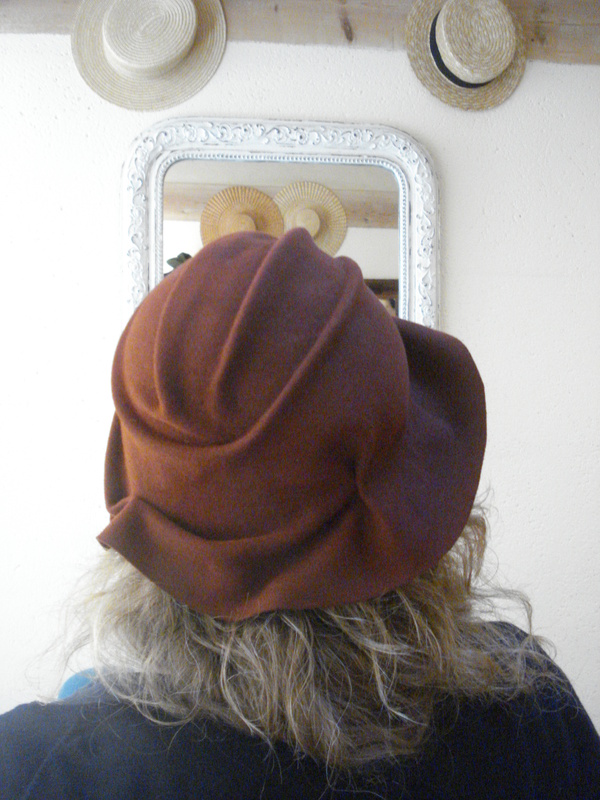 I will take photos of these hats when they are completed and now that we’ve had a chance to settle back into the studio we are excited to put our new skills to the test. 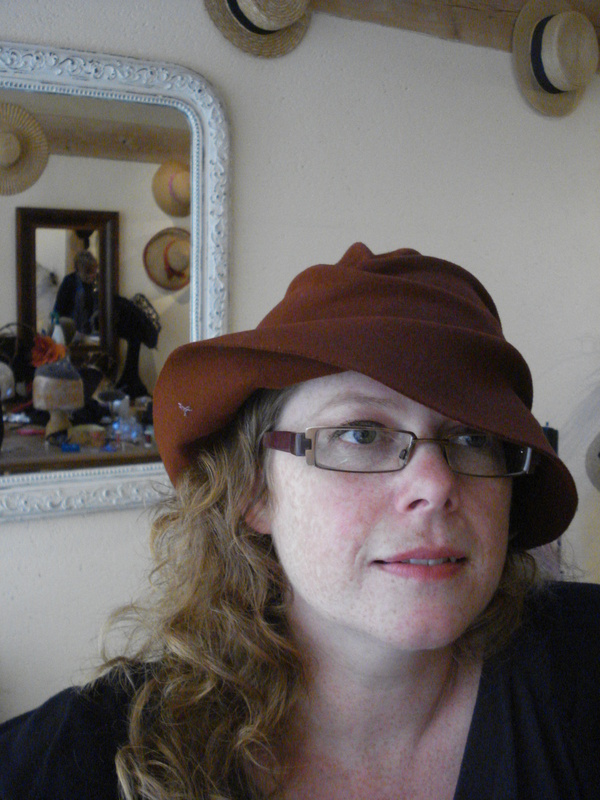 Posted in Hat Class in France and tagged France, Hats, Lucy Till Hats. Bookmark the permalink. 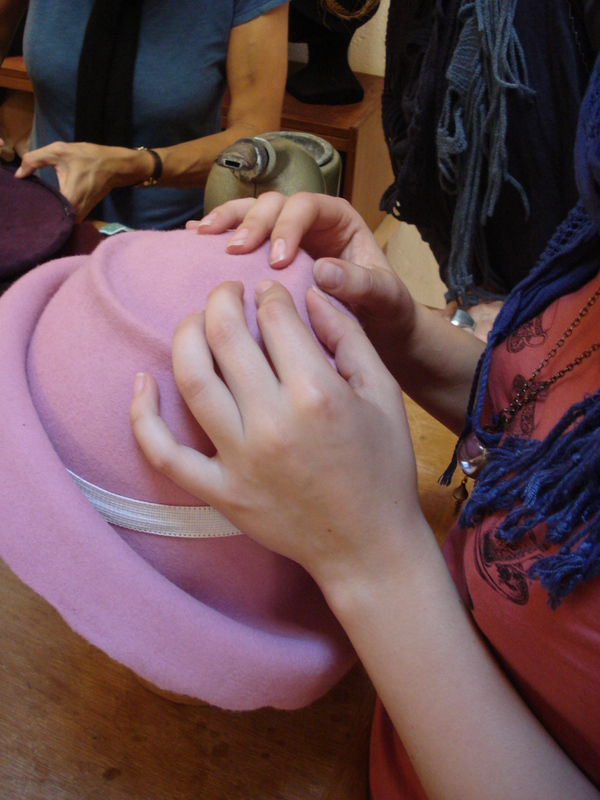 I attended a class at Lucy Till Hats atelier in Saint-Quentin La Poterie in the south of France in the beginning of October. It was a fantastic experience working closely with the instructor and Lucy in a new technique. 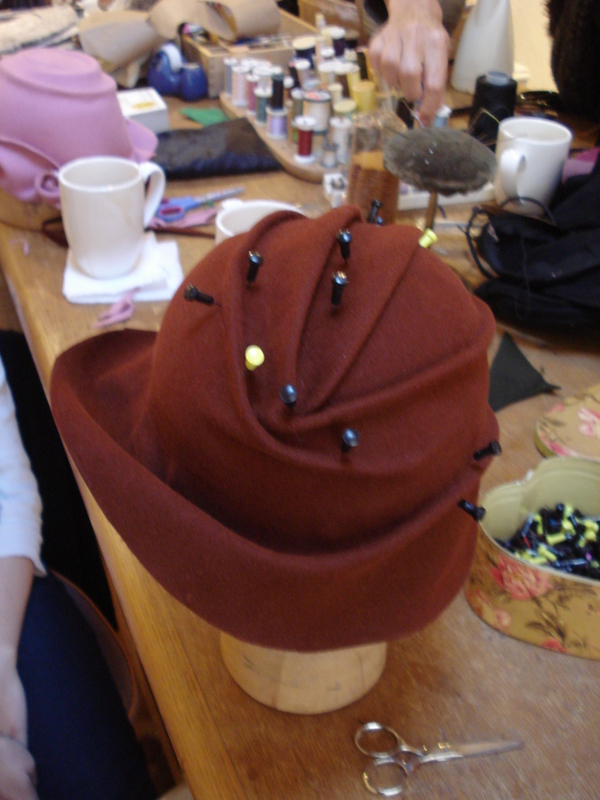 This is one of my hats in the drying stage pinned on the block. I was in Lucy’s tiny space for 3 days. We stayed in the nearby town of Uzes for a week and it’s a place I will go back to. I loved it. The hat took some time as the free-hand blocking technique is new to me but I think it came out ok.
Now it isn’t quite finished yet but I think it was a success! I can’t wait to make these hats in my studio! 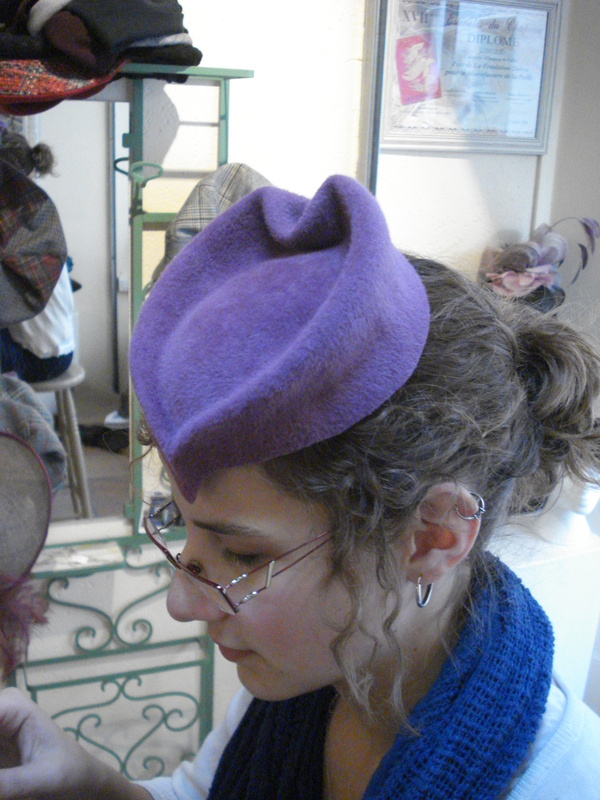 Posted in Hat Class in France and tagged France, Hats, Lucy Till Hats, Saint Quetin La Poterie, Uzes. Bookmark the permalink.